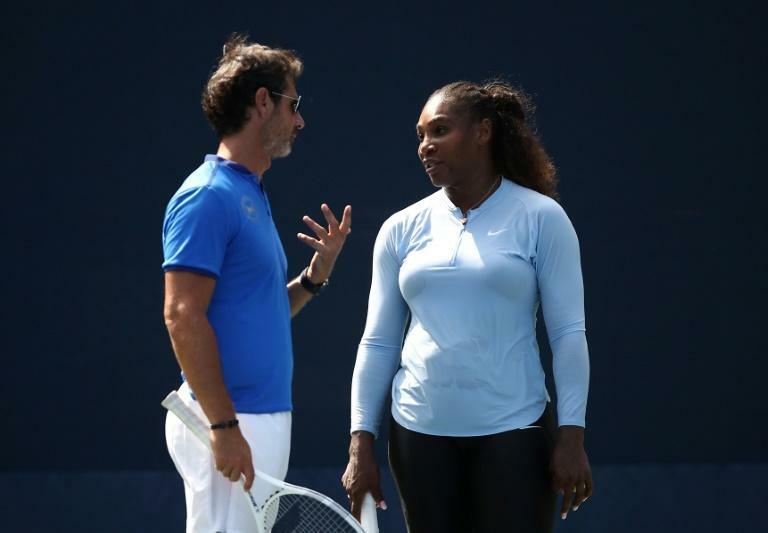 Patrick Mouratoglou, the coach at the centre of Serena Williams's infamous US Open final meltdown, on Thursday called for on-court coaching to be allowed at all events. The Frenchman insists that coaching goes on all the time at tournaments and to believe otherwise is "hypocrisy". "Coaching is a vital component of any sporting performance. Yet banning it almost makes it look as if it had to be hidden or as if it was shameful," Mouratoglou wrote in a Twitter statement. "Authorising coaching in competition and actually staging it so that the viewers can enjoy it as a show would ensure that it remains pivotal in the sport." At the moment, on-court coaching is only allowed in WTA events but not on the men's ATP Tour or at the four Grand Slams. In September, Williams was warned for coaching when Mouratoglou was spotted making signals from the players box during the US Open final against Japan's Naomi Osaka. Williams then carried out a running verbal battle with umpire Carlos Ramos who eventually penalised her a game. The American described Ramos as a "liar and a thief" before crashing to defeat at a shell-shocked Flushing Meadows. Mouratoglou insists that all players are coached from the sidelines and it is hypocrisy to deny it exists. The US Open has experimented with on-court coaching in qualifying and junior events and it's understood that the issue will be discussed on the sidelines of the season-ending WTA Finals in Singapore next week. "To attract new fans, you need to get them emotionally involved. You want spectators and TV viewers to have opinions about the players -- and the coaches -- and to know who they like and don't like," added Mouratoglou.